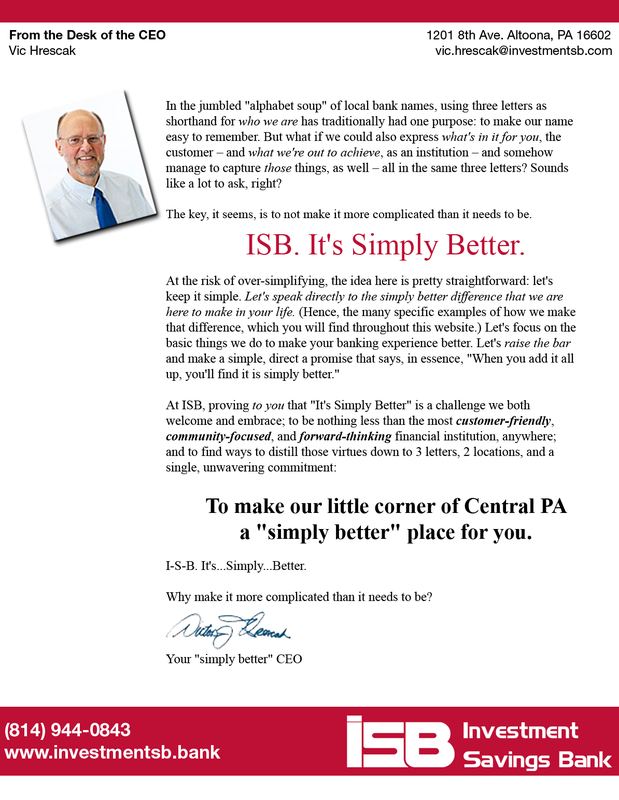 ISB Altoona Staff – It’s Simply Better! Investment Savings Bank’s location in Altoona, PA is ready to assist you with your personal and business banking and lending needs. Our banking professionals serve the Altoona community with their versatile knowledge. When you have questions about any of our banking services or require assistance with any of our lending products, please contact us! 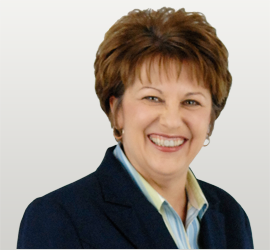 Tina has enjoyed a lengthy 30-year tenure at Investment Savings Bank. Over the years, her previous responsibilities included Teller, Customer Service, Checking Account Coordinator, Loan Secretary, and Processor. Her three decades of banking experience have seen the last 23 dedicated to lending. 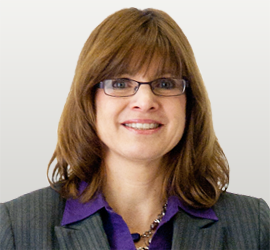 Tina is experienced with purchase and refinancing of single-family and one- to four-family investment property loans. This lending experience also includes construction to permanent loans. Tina can also do auto loans, home equity loans, and lines of credit. With this diverse knowledge of most of the lending area, Tina can help customers determine which product would best suit their needs. Following up with the servicing of these loans further assists our borrowers. When she is not working, Tina enjoys spending time with her family and being out in her garden. 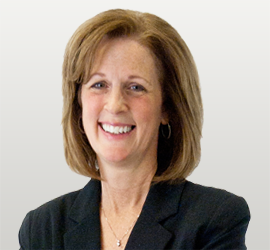 Kim Scherden has a 28-year length of service with Investment Savings Bank. Her service with the bank includes a variety of positions: teller, head teller, loan secretary, consumer loan officer, and loan officer. What does this mean for customers? With almost three decades of banking experience and growing levels of customer service, Kim can help borrowers find the funding to remodel their home, or purchase a new home. As a loan officer in the Altoona office, she can help customers achieve their financial and real estate goals. Jeffrey works as AVP of Lending in the Altoona office of Investment Savings Bank. For the past six years, he has shown consistency to customers in his position. 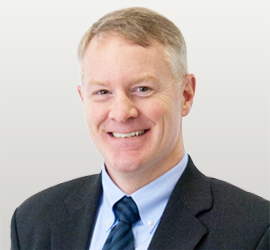 He has an overall length of lending experience that spans a total of 29 years. With his nearly three decades of lending experience, Jeffrey has the skills to help determine what the customer wants. He can offer guidance in the various lending programs offered at ISB; and then make it happen. Away from the office, Jeffrey is a board member and treasurer for the Blair County Community Action Agency. Some of his other interests include music, reading, road cycling. He especially enjoys vacations and time spent with his family. Marge Tangeman has worked for Investment Savings Bank for a total of nine years. She has previous experience as a teller, also. Marge has been working in banking and customer service for a total of 21 years, and has a wealth of experience in meeting the needs of customers. She enjoys helping customers with financing major purchases, funding home improvements, or just working to consolidate debts. Get in touch with Marge Tangeman in the Altoona branch of ISB when you want expert advice on any questions you might have on these lending or mortgage products.